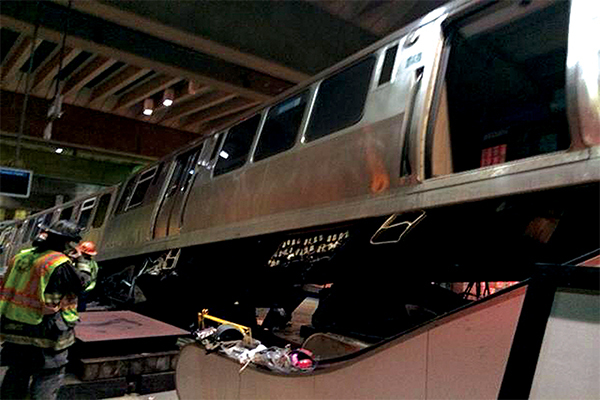 Workers continue the process of removing the CTA train which crashed at O’Hare International Airport early Monday, March 25, climbing an escalator. 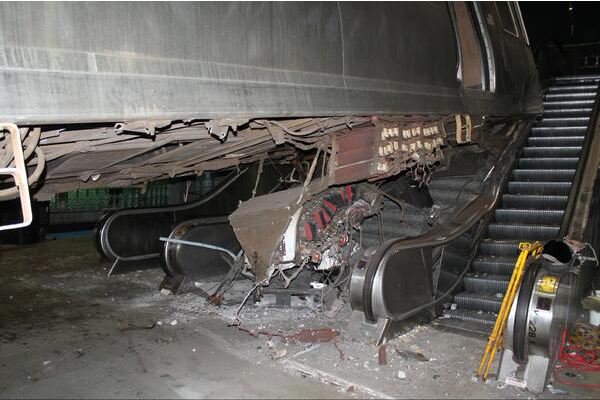 The National Transportation Safety Board is investigating the accident. 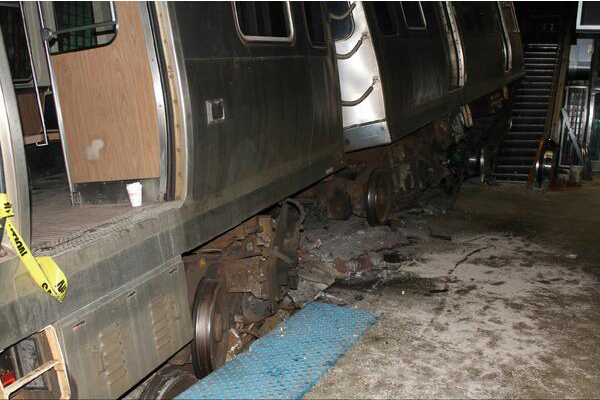 The CTA Blue Line station at O’Hare is closed indefinitely.